Are you searching for a professional tax debt relief firm? Look no further than Tax Defense Partners. We can resolve state tax problems for taxpayers in South Dakota. Whether you are facing a wage garnishment or a bank levy, we have got your back. Speak to a Tax Expert about South Dakota Tax Debt Relief. Contact us now! What Happens When You Don’t Pay Federal & South Dakota State Tax? If you are a taxpayer from South Dakota and have failed to pay your taxes on time, you can expect the government to seize your property. They may even sell those assets to pay your tax debt. In this case, a tax levy has been imposed on you. Next, you risk hurting your credit score because the tax lien may be reported to major credit bureaus. This is going to make it difficult for you to apply for future loans or new lines of credit. What is a tax lien? It is something that the government places on your car, home, and other valuables. The lien prevents you from liquidating those assets or refinancing any loans that are related to the affected property. When you hire a South Dakota tax debt resolution expert from Tax Defense Partners, we can review your tax bills to ascertain their accuracy. After understanding your financial situation, we will present appropriate tax debt relief solutions to you. We will also explain the pros and cons that come with each option. When our tax attorney and you have established a common understanding, we will proceed to help you apply for tax debt relief programs. We can even communicate with the government on your behalf. I've filed a joint return with my ex-spouse during our previous marriage. However, he/she is refusing to cooperate when it comes to paying our due state taxes. What should I do? You should check with a tax attorney to determine if you qualify for innocent spouse relief. This tax debt relief option helps to prevent the IRS from facilitating aggressive collection efforts against you. I am unable to fulfill lump-sum payments to the South Dakota Department of Revenue. Is there another way to repay what I owe in back taxes? Yes, there is an alternative. If you meet the correct criteria, our tax debt relief specialists can propose to the state tax authority to allow you to pay via monthly installments. You should keep in mind that you are not only repaying the principal amount. The monthly payments may include additional charges pertaining to accrued interest charges and penalties as well. Can a South Dakota tax debt relief lawyer really help me resolve my back tax problems? Yes, you have our word that we can resolve your unpaid tax issues. Our tax debt resolution specialists have spent years mastering the tax laws. What’s more, these laws are ever-changing. 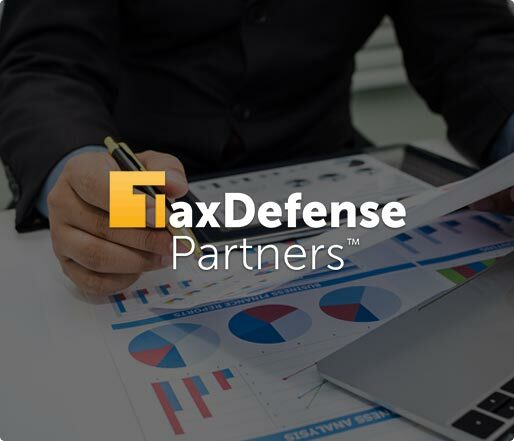 You can rest assured that Tax Defense Partners has the ability to turn this complex and stressful process around and make things better for you. Hire The Best Tax Debt Defense Team in South Dakota Today! Don’t let your South Dakota tax problems weigh you down. Our tax debt resolution consultants are always prepared to help taxpayers who are struggling with their unsecured tax debts. Schedule a free consultation with our South Dakota tax attorneys today. Call us at 800-600-4300 to get started.